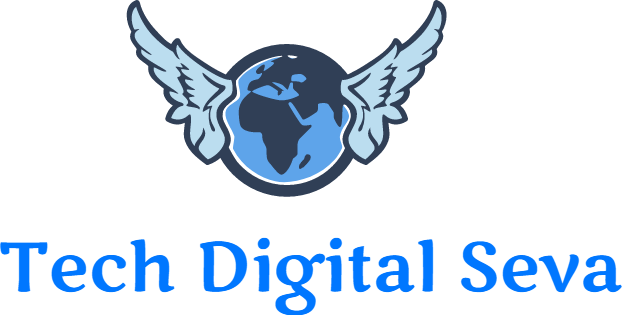 Tech Digital Seva Latest Mobiles New Apple IPhone 8 & Apple IPhone 8 plus Same Design Mix, Top New Features Never Before? New Apple IPhone 8 & Apple IPhone 8 plus Same Design Mix, Top New Features Never Before? Until now there are Lakhs of fans were waiting for the Next generation Apple IPhone how it will be. There are lot of rumour speculated on Internet that Apple would introduce the next IPhone as Apple IPhone 7s. Keeping mouth shout of everyone, Apple has announced its Next Generation Apple IPhone X and Apple IPhone 8, 8 Plus. 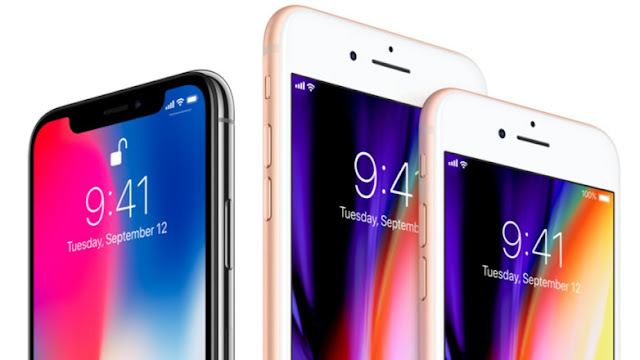 Apple has announced this top notch smartphones as its flagship killers on September 12, at Apples new headquarters in Cupertino, California. Just like Apple IPhone 6 & Apple 6s everyone thought the Apple Company would launch Apple IPhone 7s into the market. Apple IPhone 7 available with 4.7 inch display in market, as everyone thought that Apple would release large display with 5.5 inch screen size. Surprisingly Apple Company has skipped Apple IPhone 7s and directly released Apple IPhone 8 & IPhone 8 Plus. 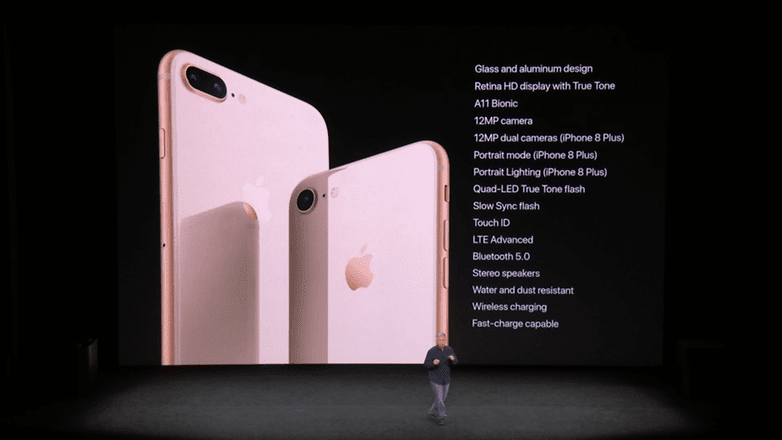 The Apple IPhone 8 & IPhone 8 Plus comes with new processor A11 Bionic. Apple A11 Bionic uses 6 Cores in total with 2 high performance cores in it. The 2 high Performance cores are 25% faster than Apple A10 core processor. Apple A11 Bionic is the same chip used on Apple IPhone X. Which gives great performance and battery life in day to day usage. All the 3 models of Apple IPhone 8 / 8 Plus & Apple IPhone X will have same user experience with difference of display. 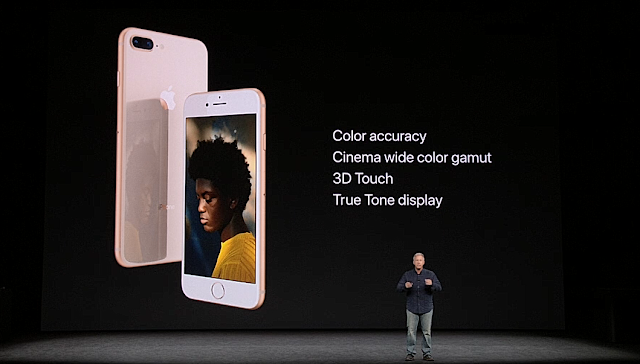 Camera Performance will be great experience in Apple IPhone, keeping that in mind Apple has given 12-megapixel dual lens rear camera with f/1.8. Apple claims 85% more natural light will be produced more than its elder sibling Apple iPhone 7. Earlier IPhone 7 plus wanted to keep dual camera to perform portrait mode to clear blur backgrounds, now apple company launched IPhone 8 plus with new camera feature portrait lighting. This feature will helps reducing light effects in scene in pictures; machine learning was used in portrait mode. As simple, iPhone 8 has started improving its real time experience to give competition to its rivals. With improved processing power and battery performance for multi-tasking in day to day usage. Apple IPhone 8 fits for everyone and all the age groups.